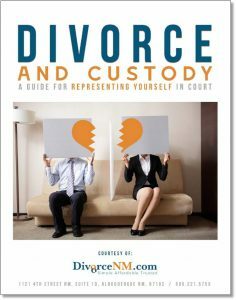 There is no law in New Mexico that says a person must hire a lawyer to prepare divorce papers to get a divorce. For many people, it makes sense to hire a lawyer, but for others, doing it themselves is a realistic option. At DivorceNM.com, we make it easy for you to prepare your divorce papers and file them with the court. Just follow the steps and instructions provided. Begin today by selecting one of the options below. If you are currently married, select this option if you do not have any children, do not have any dependent children over the age of 18 with a disability, are not expecting a child with your partner, or all children are over the age of 18. If you are currently married, select this option if you have any children under the age of 18, have any dependent children over the age of 18 with a disability, or if you are expecting a child with your partner. If you are not married, select this option if you have any children under the age of 18, have any dependent children over the age of 18 with a disability, or if you are expecting a child with your partner.